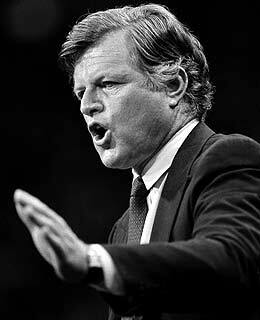 The Ted Kennedy tribute video had to be one of the highlights of the DNC. It would serve the Democrats very well if they were to just make a commerical of the debate between Kennedy and Romney. That debate was priceless. The President should just watch the video of Kennedy debating Romney on a loop to prepare for the debates. The Great Lion sure knew how to put Willard in his place. This was a great tribute. I particularly liked the clips of the debates with Romney. Quite brilliant.